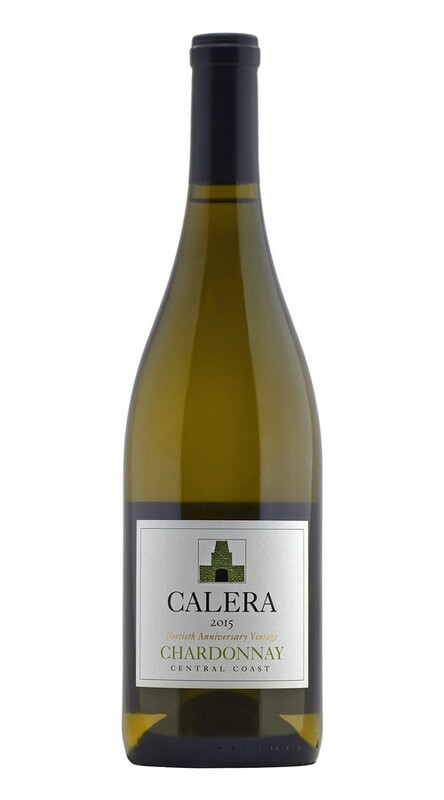 Tangerine, gardenia and Meyer lemon accented by Marcona almond and pear waft from this beautiful 2015 Chardonnay; succulent, bright and rich like key lime pie. The palate is flavorful, lush and lively with notes of mineral and citrus zest and a delightful zingy mouthcoating richness persisting into a long, lingering finish. The fourth year of a drought gave us very low yields across California, resulting in wines with great depth and concentration. 2015 was the earliest and fastest harvest ever for us here at Calera. Chardonnay grapes for our Central Coast bottling were picked August 24th through September 25th. After hand harvesting, the whole grape clusters were pressed and the juice was gently moved by gravity to Calera’s barrel cellar. Fermentation in barrels by native yeasts was followed by complete malolactic fermentation. The wine was aged without racking in French oak barrels, 10% new, for ten months. The separate vineyard lots were combined prior to bottling.